DuraVision™ telescopic Inspection Mirrors are designed for viewing below, above and around just about any hard to see place. The high quality acrylic convex mirror makes everything visible. 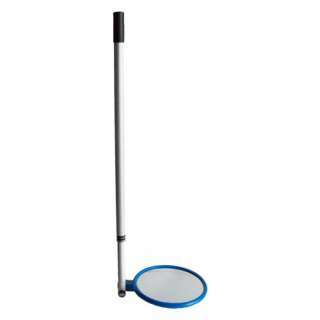 The compact Portable Inspection mirrors are lightweight, transportable and easy to manoeuvre in small spaces, where as the Lookunder Vehicle Inspection Mirror is designed for viewing under vehicles and machinery, using castor wheels for easy mobility. 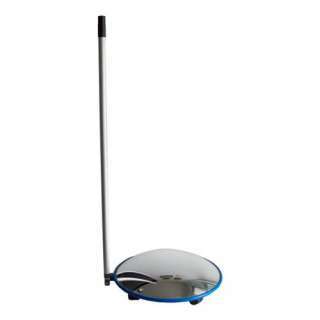 All inspection mirrors come complete with fully adjustable telescopic handle and drawstring protection bag. 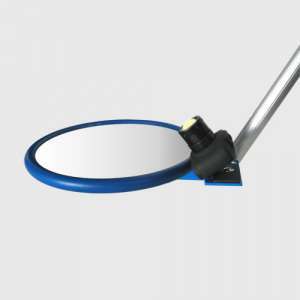 The portable Telescopic Inspection Mirror is a very durable, lightweight and easy to use and will suit a wide variety of inspection purposes. The Look Under Vehicle Inspection Mirror is designed specifically for viewing a wider area of the vehicle undercarriage and machinery.